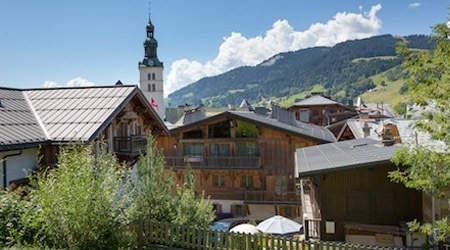 I think the fact that Megeve is such a beautiful resort and fairly unknown by the British market so you do feel like you are in France rather than an extension of the UK. We also offer short breaks and ski weekends which is unusual. However, the reason our guests keep coming back to us is our wonderful staff. Guests often comment on how friendly and helpful our staff are. We believe this is because we look after our staff and make sure they are enjoying their season with us. Many remain our lifelong friends and this is reflected in how they in turn look after our guests. We are a family, run company currently looking for members of staff to join our summer team in the beautiful alpine resort of Megeve. We are looking for chalet hosts for our two chalet/hotels in two roles, housekeeping and also welcoming guests checking in and departing. Most of our guests in the summer are french or european so languages are important as well as experience cleaning. We don't offer dinner in our chalet/hotels in the summer so evening work is purely checking guests in. The job is hard work but great fun and very rewarding and most importantly there is plenty of time off to explore the mountains! You mostly work in the mornings serving breakfast and checking guests out and evenings checking guests in with the afternoons off. There is one day off & two half days off/week. We know that the point of doing a season is to get out and enjoy the mountains so we encourage you to get out at every opportunity. The Alps are beautiful in the summer with glorious walking, mountain biking, road biking, lake swimming, paragliding or just taking in the scenery! We take great care to look after our staff as we believe that a happy staff team reflects well for our guests and our guests enjoy their holiday more. Many of our staff have remained life long friends.